The stone Larimar helps one see and release undesirable attachments and to disconnect from unhealthy inner bonds to other people or beliefs which no longer serves them. Larimar can help free the pathways in allowing one to leave behind any obsolete past commitments and helps dissolve the boundaries of the spiritual self and allows one's true path in life to be revealed. Affirmation: I have chosen a new path, a new path where I can be me. Really love this polish it’s so much shinier than I thought it doesn’t even need a top coat! So beautiful! Really like it. Arrived on time and in perfect condition. This is one of two polishes I had ordered and I love both they even got here really fast too! Will buy again. Due to the nature of my product, I cannot accept returns for health and safety reason. If you have a problem with any of my polishes, I'll be happy to work it out with you. If your package becomes lost, I provide tracking info within the U.S. If you inadvertently provided the incorrect shipping address, and the package is returned to me, you will have to pay the reship cost. Today's technology provides so many different ways in which we can shop on such as, computers tablets, phones etc, all these different screens do not always display colors accurately. *All shipping fees include tracking. You will get the tracking number once the package has been boxed up and shipped. This will appear in your "purchases" section. *All packages are FOB origin. 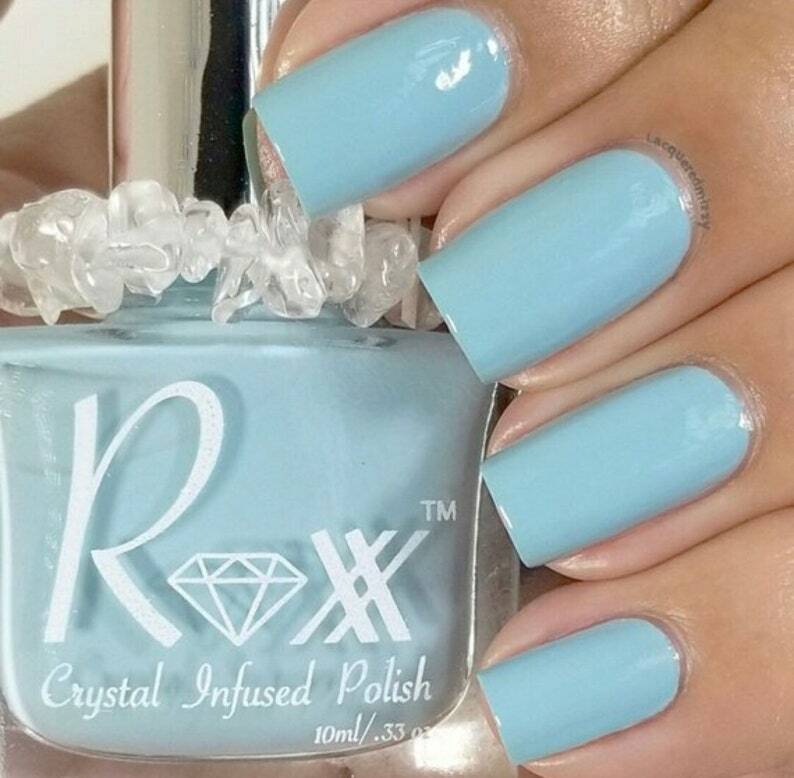 Meaning once the order is scanned at the post office as "accepted" Roxx Polish is not responsible for the package. *Each order is shipped in padded envelopes or boxes. Each polish is carefully wrapped in bubble wrap and if needed peanuts are added to the package. *If you wish to purchase USPS insurance I can also make a listing for that. Usually insurance is about $1.